Now is the BEST time to get your website on the first page of Google. I have created more leads for my clients than they ever expected; let me do the same for your business. I have been winning battles in digital warfare since 2007. I have an 85% page one ranking rate and track over 2000+ keywords. This is one of the most overlooked upon aspects in digital marketing. You wouldn’t go to war without the best weapons and ammunition, would you? So this is where I tell you what you need to improve on your website in order to increase your digital presence by 10 fold. Once we have improved your website, we start with our keyword research. This is where we find relevant keywords that are being searched by people on Google and other search engines on a daily basis. We come up with a suggested list and you approve it according to your business and industry’s ins and outs. Once we have the list of keywords we can start the last stage of your website audit; on-page SEO. 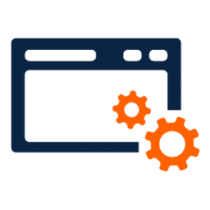 This is where we make sure that all the on-page aspects are on point so that when search engines come to your website, it clearly understands just what the page is about. Time to add some fuel to your marketing fire; links. 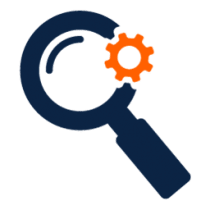 By finding relevant and powerful links to link back to your website, the search engines will receive the correct signals in order for your website to rank higher. Looking for the best targeted lead generation on the planet? People over complicate SEO (Search Engine Optimization. They take all the information they can find and implement it all at once in the hope that they will rank on that illusive first page of Google. It’s time to simplify the process. We all know (and understand by now) that you need a plan to succeed in anything you take on. Well, SEO is no different – just make sure that you have a solid plan and a strong foundation right from the start or everything will collapse somewhere down the line. My digital warfare strategy is simple, and yours should be too. Before you go into war, you need to have your weapon (your website) ready for action. You need to ensure that it is search engine friendly in order to convert as many visitors as possible – otherwise all your efforts and ad spend will be a waste of time and money. That’s why we start the entire process with a proper website audit – and not just an on-page audit either. If what you’ve got going on your website is already weighing you down, it’s not going to help to continue building on that foundation – you will never be on the first page of Google. After a proper audit we will know exactly what needs to change or be removed. This can take less than a day if there aren’t any major issues. But it is absolutely critical. SEO companies overlook this step or have absolutely no idea how to do this right. Some even believe that this is not necessary at all! But, from experience, I can tell you that you can achieve a first page ranking with only good on-page SEO. This is probably the most technical part of SEO and the bottom line is that search engines want to get told what to see. If your on-page doesn’t tell them, they are going to be lost and confused. Don’t allow this to happen. Since the beginning of SEO, links have been the main way to gain top rankings in the search engines. This is still true, but many things have changed. Relevancy is all it takes. You need to make sure that you are getting links from authority that hasn’t changed and is relevant to your industry and/or website content. The more relevant, the better the results. If you would like to find out more about this topic, take a look at my blog here. You are a business owner; you don’t have the time to spend on learning how to get your website to rank or try to cultivate a synthetic passion for something you really couldn’t care less about. That’s why there are digital marketing pros to help and guide you. Just leave it in our capable hands; the wrong move can cost you dearly and can even cause you to lose your website to a penalty that is impossible to recover from.